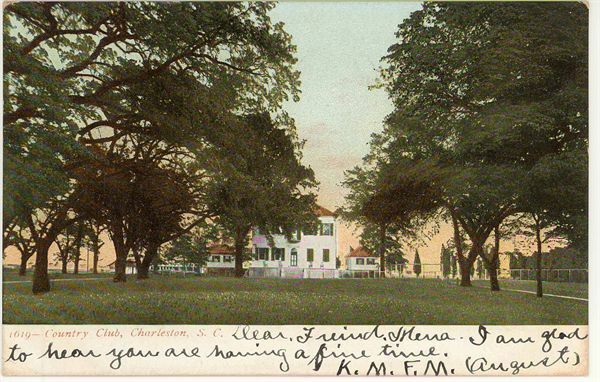 In 1901, the Charleston Country Club purchased Belvidere Plantation, on the west bank of Cooper River just north of Magnolia Cemetery. The group laid out a nine-hole golf course, and refurbished the ca. 1800 plantation dwelling as their clubhouse. 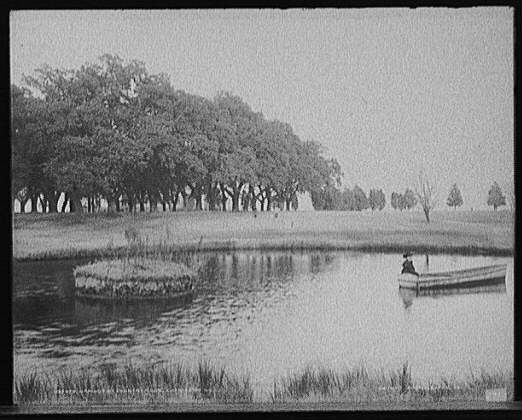 The new golf course was a replacement for the nine-hole course at Chicora Park (formerly Andrew Turnbull’s Retreat Plantation), 600 acres purchased by the City of Charleston in 1895 as a public park. When the U. S. Navy bought the park in 1901, the city used the purchase money to acquire Washington Race Course and develop Hampton Park, which was not large enough to include a golf course. In 1913, the Charleston Country Club extended the Belvidere Golf Links course to eighteen holes. Membership increased, and by late 1916, the News and Courier reported that applications were "being handed in almost every day. … Members having automobiles enjoy making the club a sort of terminal or rendezvous." For members and their guests, there were not only golfing links and tennis courts, but also Saturday afternoon teas and dances, bridge parties for women, and golf tournaments for men. The club had engaged Harry Hampton, a professional from the Lenox (Massachusetts) Club, to spend the winter giving advice to the grounds committee and golf lessons to both men and women. Although the Belvidere golf course remained popular, the property was in an increasingly busy industrial area. The Southern Railway built a coal pier into the Cooper River near Belvidere, and Standard Oil Company’s tank farms hemmed it in at the north and west. 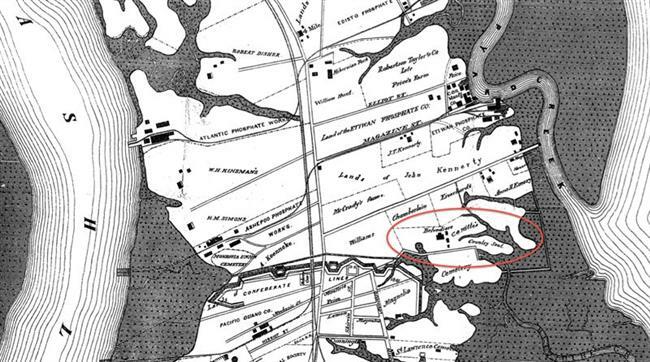 In 1922, the club bought 936 acres (700 acres of it marsh) of McLeod Plantation on James Island. The Wappoo Links, with its clubhouse set atop the Civil War-era Battery Means, opened in 1925. The Standard Oil Company bought Belvidere and built an oil refinery on the Country Club grounds. In 1938, the plantation house was “practically a ruin.” By 1964 it had been demolished, parts of it salvaged for reuse in buildings downtown. 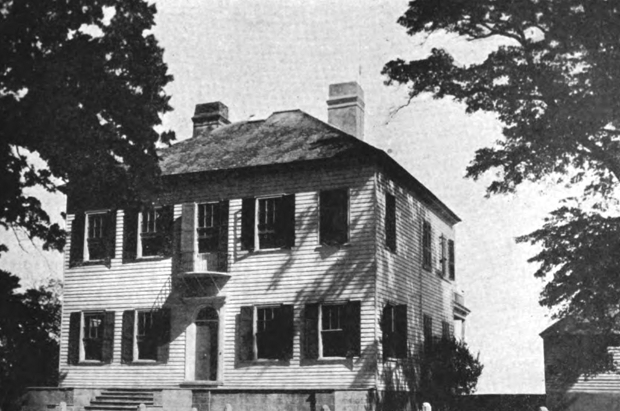 During the eighteenth century, Belvidere Plantation was known as “Governors House.” In June, 1712, the General Assembly directed a commission to purchase a suitable place for the governor's suburban residence, a tract of land six miles of Charles Town, and to build a brick house, for the use of governor Charles Craven and succeeding governors of the province. 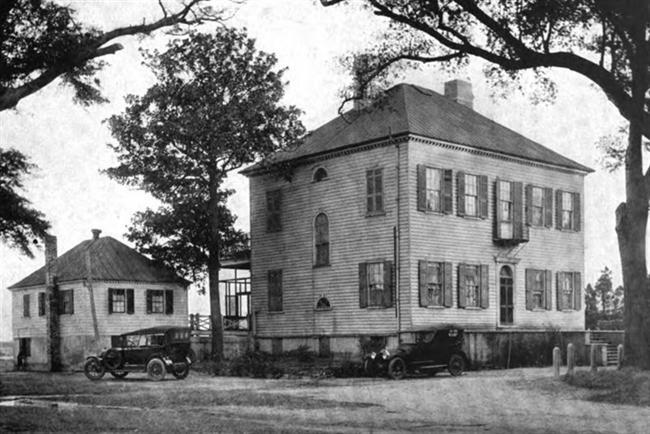 In 1749, Thomas Shubrick bought the Governors House plantation. It remained in his family for several generations, and in March 1796, “Belvedere the elegant seat of Thomas Shubrick Esq., three miles from this city, was destroyed by fire.” The house built by the Shubricks to replace Governors House became the clubhouse for the Charleston Country Club. "Activities at Country Club." News and Courier, December 24, 1916. Ravenel, Daniel, Jr. “Golf Here Dates from 1792 Group. Country Club of Charleston is Outgrowth of Historic Interest in Game.” News and Courier, January 17, 1939. Smith, Henry A. M. “Charleston and Charleston Neck. The Original Grantees and the Settlements along the Ashley and Cooper Rivers.” South Carolina Historical and Genealogical Magazine. Vol. 19. (1918). Stoney, Louisa Cheves. A Day on Cooper River , by John Beaufain Irving, M.D. Charleston, 1932; 3rd edition Columbia: The R. L. Bryan Co., 1969. Stoney, Samuel Gaillard. Plantations of the Carolina Low Country. 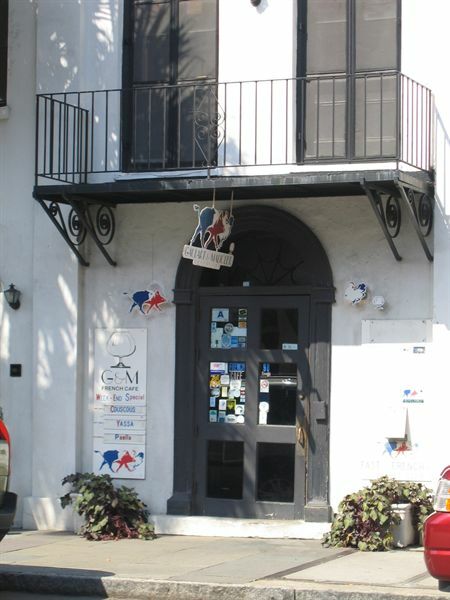 Charleston: Carolina Art Association, 1938, 1964, 1977. Rep. ed. New York: Dover Publications in association with the Carolina Art Association, 1989. Postcard view, Belvidere Golf Links, ca. 1910. Oak avenue with house at right-rear. 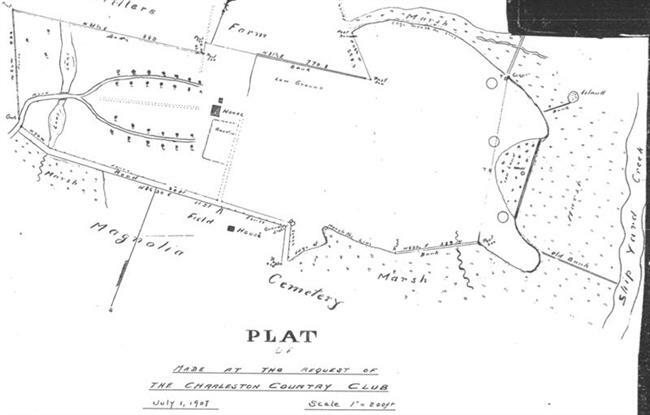 Plat of Charleston Country Club's property, 1907. Charleston Neck, 1883. The late-nineteenth century phosphate boom had ended when the Charleston Country Club bought Belvidere Farm, but the golf course was eventually surrounded by other industrial plants. 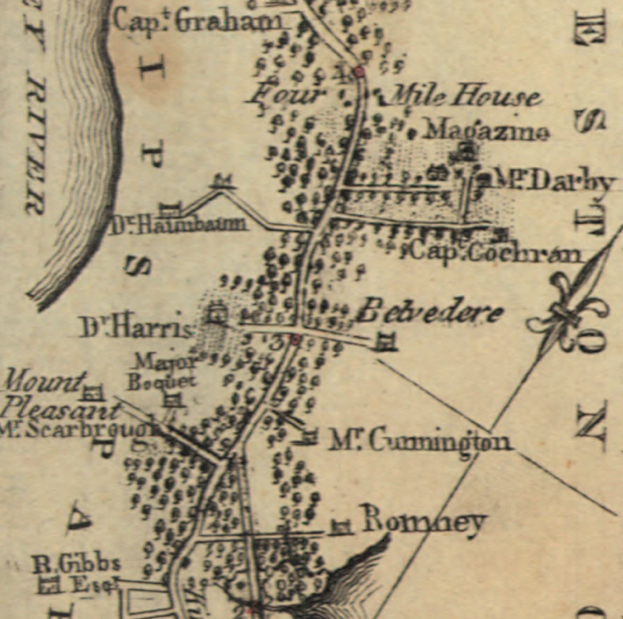 Belvidere Farm is shown on this 1787 map. 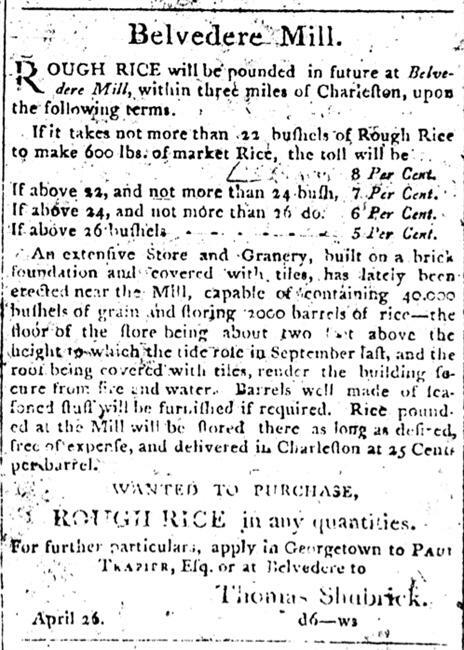 In the spring of 1806, Thomas Shubrick advertised his new pounding mill at Belvedere. 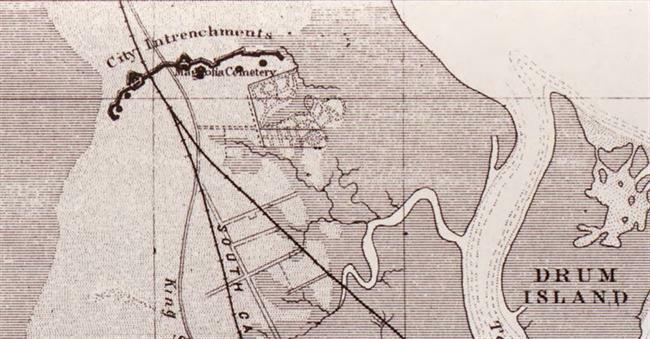 Entrenchments between Magnolia Cemetery and Belvedere Plantation, 1865. When Belvidere Plantation was razed, the entry surround with semi-circular fanlight and fluted pilasters, interior mantels, and cornice detailing were salvaged and installed at 98 Broad Street [door is modern].